This morning Scottish artificial intelligence healthcare company snap40 revealed that it closed an $8 million seed funding round led by ADV, with participation from MMC Ventures and other private investors. snap40's offering is a system that monitors patients using a unique wearable device that employs AI and can alert clinicians if a patient’s condition is deteriorating. The company claims the system is equivalent to ICU monitoring. The wearable is able to monitor a patient’s respiration rate and oxygen level. According to the company’s webpage, the device has a 36-hour battery life and is completely wireless. The system has an accompanying mobile platform that is both HIPAA and NHS compliant. Users have the ability to view patients' data and health trends either in real time or when they are in an appointment. 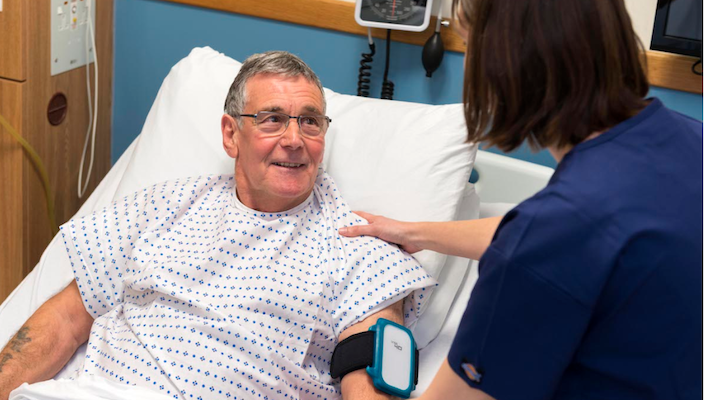 The technology is also designed so that it can identify a person’s baseline, and then send alarms to users if a patient is clinically deteriorating. snap40 plans to use the money to expand further in the US. It reports already having pilots and clinical trials with US hospitals and institutions. According to the company, which is headquartered in Edinburgh, Scotland with offices in New York, this latest financing is the highest digital health seed funding amount in the UK. The announcement also brings the startup to a total of $10 million in funding. The technology can be used in a number of different settings, such as in the ICU or among recent hospital discharges.